- Each letter of the alphabet is cleverly paired with a tiny dragon of its own. Can be stitched together as a set, or individually as monograms. Also includes numbers from 0-9, and an apostrophe. 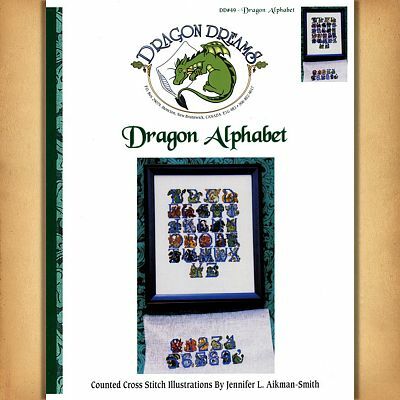 Create personalized gifts for all the dragon lovers you know! 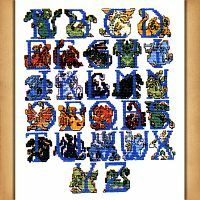 The alphabet design, stitched as a complete piece, measures 100 stitches wide by 120 stitches high. If you use the letters individually, they measure 19 stitches high. These designs call for backstitching, partial stitches, and French knots. Suitable for intermediate stitchers. 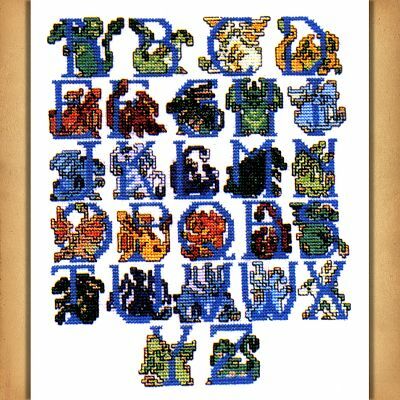 Do you have any other questions about our Dragon Alphabet Cross Stitch Pattern?